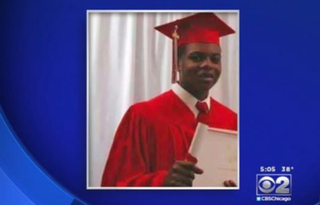 A grand jury will hear evidence of a possible cover-up by several Chicago police officers surrounding the death of Laquan McDonald, a black teenager who was fatally shot by a white officer, Reuters reports. Patricia Brown Holmes, a special prosecutor appointed in July, told Reuters that she motioned for a grand jury Monday so that "people would know there was fairness" in the process. Cook County Judge LeRoy Martin Jr. accepted the motion, saying that he would convene a special grand jury to hear evidence about whether officers lied in order to justify the controversial shooting death. Laquan, who was 17 at the time of his death in October 2014, was shot 16 times by Police Officer Jason Van Dyke, who is facing first-degree murder charges in the case. Police video of the shooting sparked protests and calls for Chicago Mayor Rahm Emanuel to resign. The video footage contradicted police reports, prompting accusations that officers attempted to cover up an unjustified shooting. Holmes, the newswire notes, is investigating whether, during interviews in the aftermath of the shooting, the officers who witnessed it described it in a way that covered up possible misconduct. As the newswire notes, last month, the Chicago police chief recommended that five officers, including Van Dyke, who is currently on unpaid leave, be fired in connection with the incident. All of the officers are accused of making false or inaccurate statements.